It is natural for a cannibal to love his fellow man and woman, not forgetting the little ones of tender years. Turner & Co are not cannibals – they are not a bit greedy even; but they want to do everyone a good turn by selling them one of their roadster machines. 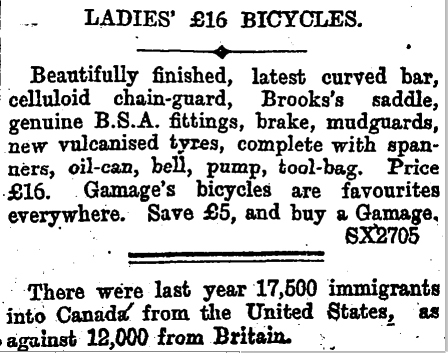 These bicycles cannot be beaten for quality or value. They are made to order on the spot of BSA fittings throughout. 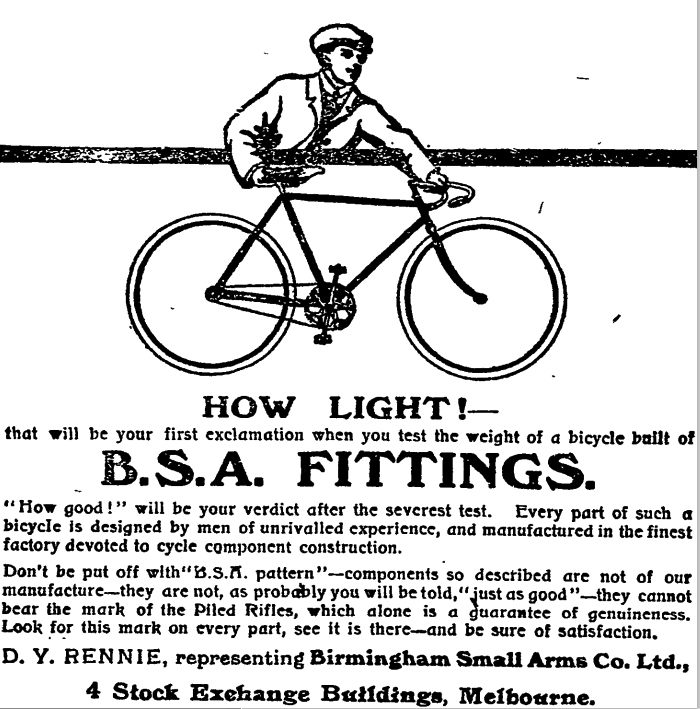 As you can see from the adverts below, from New Zealand newspapers 1898-1924, many different New Zealand and Australian bicycle manufacturers used BSA fittings in the early years of cycle production. 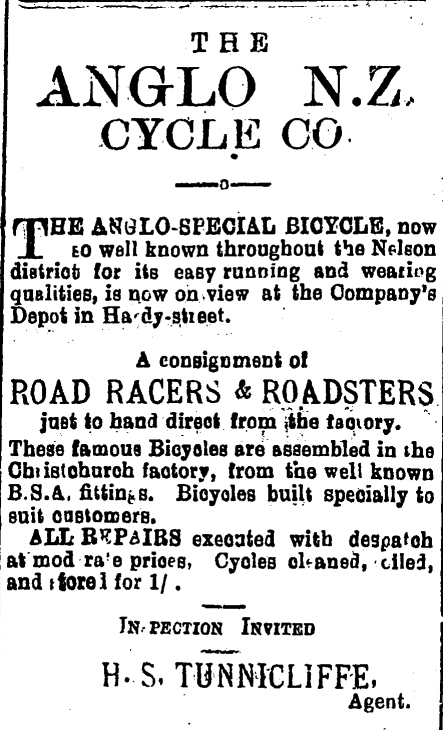 Mercer’s Cycle Works, Nelson: NZH Cycles. F.G. Small: Advance Cycle Works. Turner & Co: Dart Spring Frame. 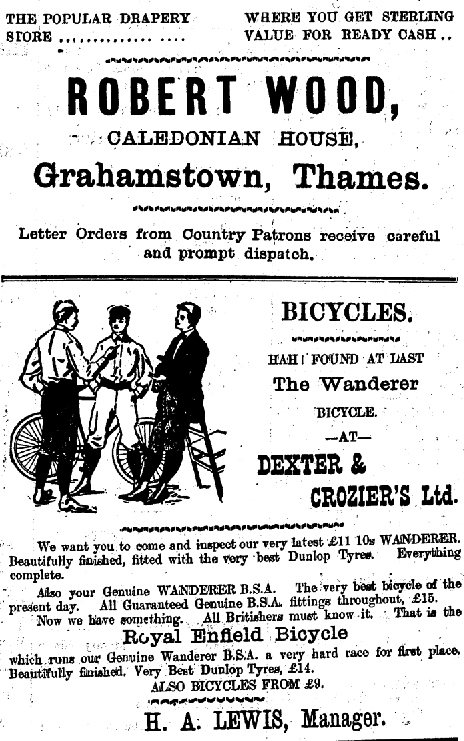 G.F. Cuson, Cumberland St, Dunedin: Moa Cycles. R.S. Tonkinson & Co, Dunedin: The Viking & The Westwood. 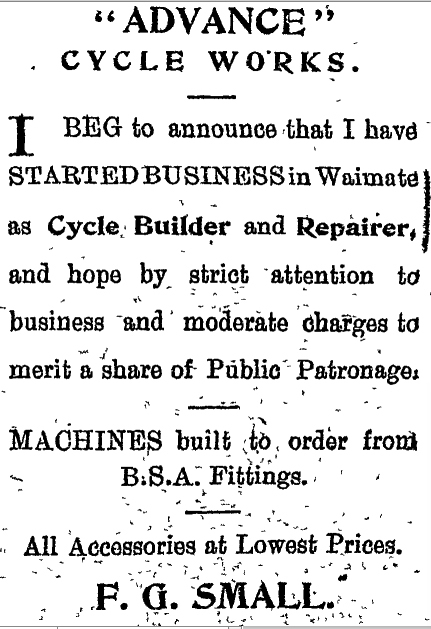 E. Sears Cycle Works, Bridge St, Nelson: The Tui. D.Y. Rennie, BSA Agent, Stock Exchange, Melbourne. 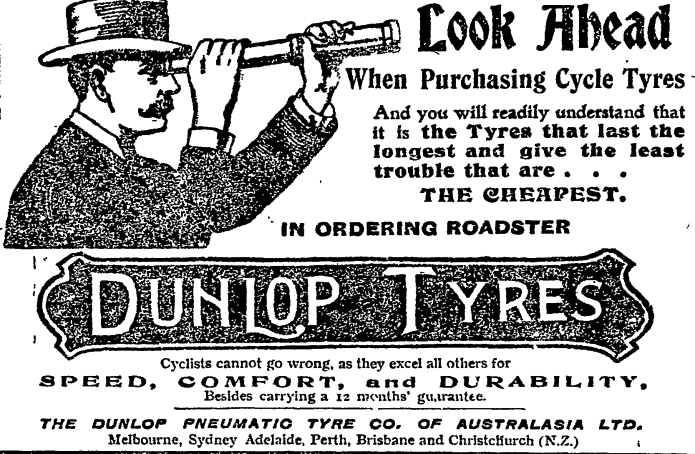 T. Turtill, Zealanda Cycle Works, Ashburton.